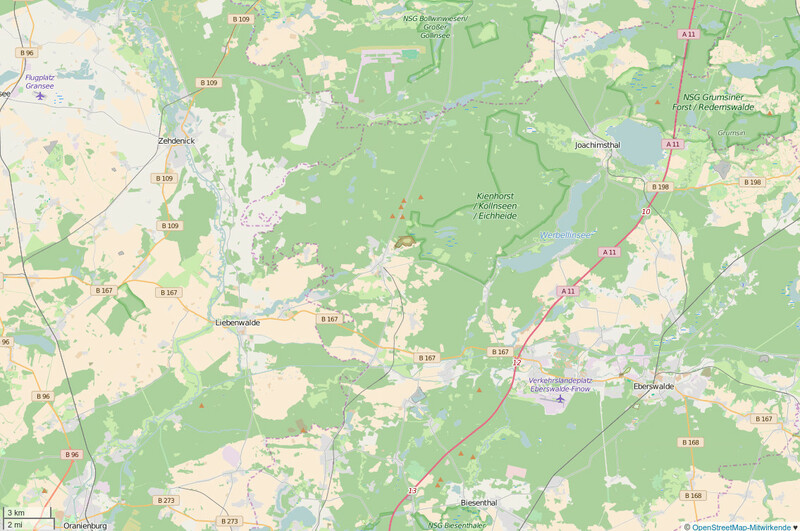 Brandenburg is German state in the east at the Polish border. Just as it’s neigbouring state Mecklenburg-Vorpommern, it doesn’t have a lot of inhabitants compared to the size. But a lot of lakes and one bis plus: in about the middle lays Berlin and their border is easily reachable by the public transportation („S-Bahn“) of Berlin. 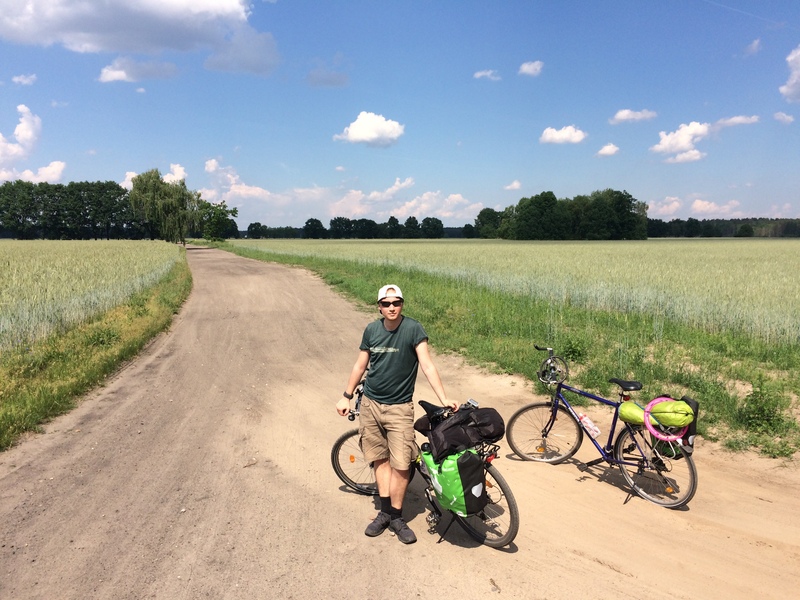 So 3 weeks ago on a Friday after work I packed my panniers, booked a Flixbus ticket for me and my bike and drove to Berlin to visit my friend Martin. 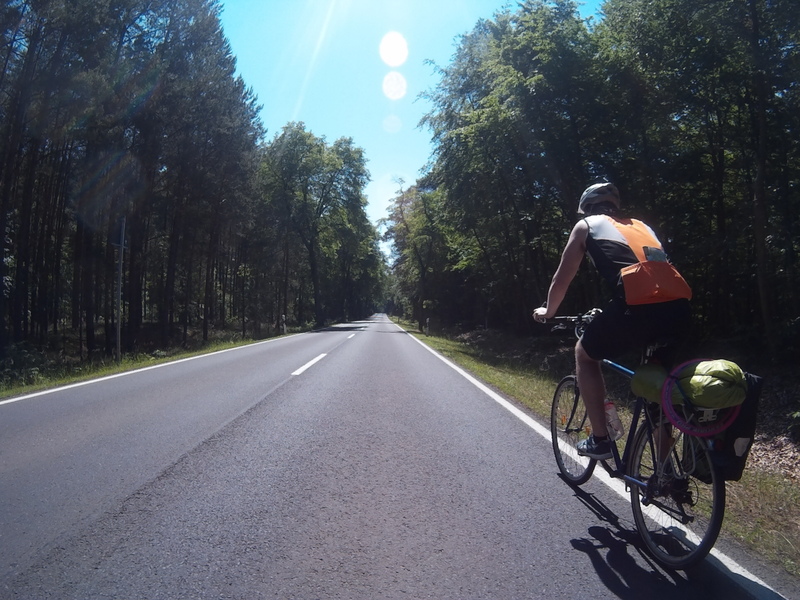 We then started (reasonably) early Saturday morning in Oranienburg, north or Berlin, and drove until the early evening: through forests and fields, on normal paved roads but also gravel. 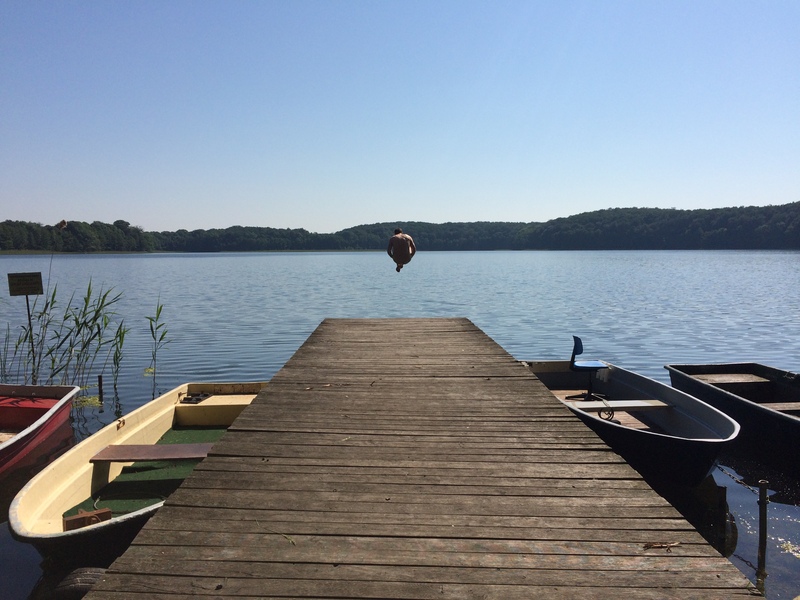 With lots of lakes and nobody around we swam in every other lake at 30°C+ and sunshine. 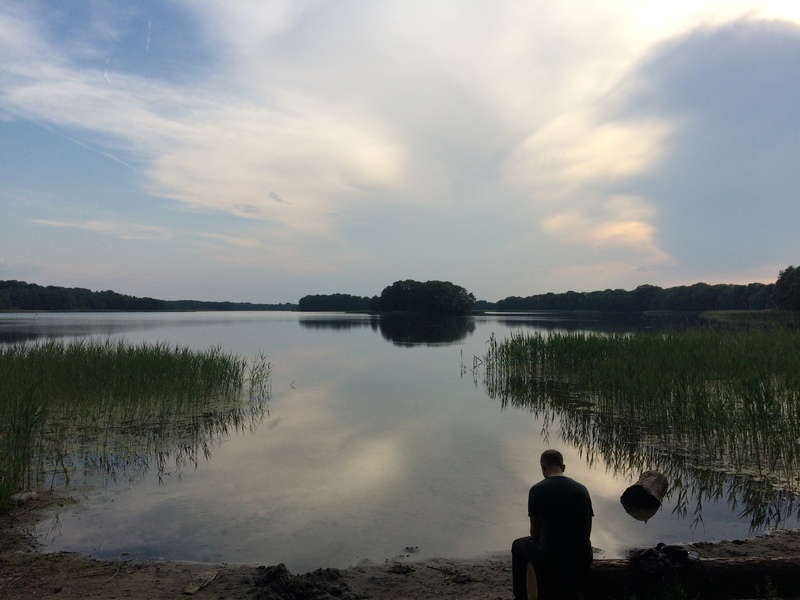 We then camped at a lake and ate our instant noodles. 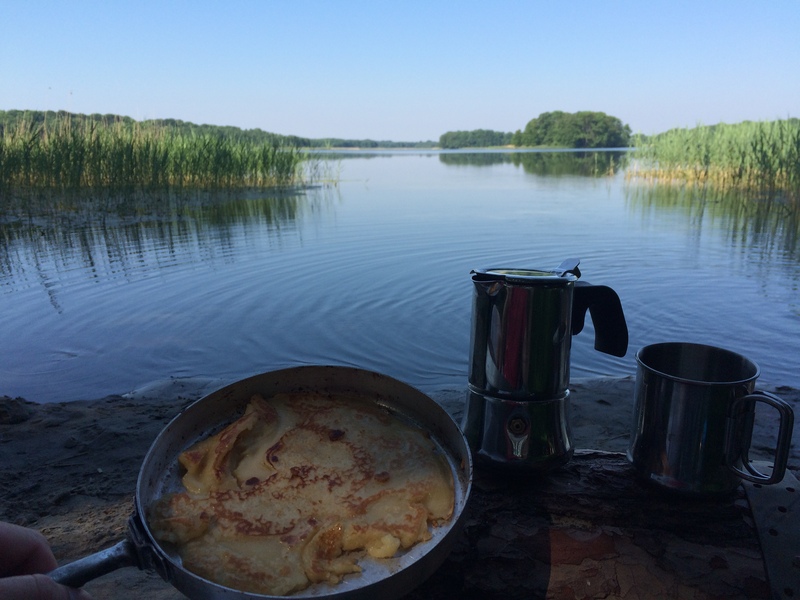 Next day we started with some nice pancakes and a bit later, a small lunch at a restaurant and made it just in time to a café, before a thunderstorm broke loose. 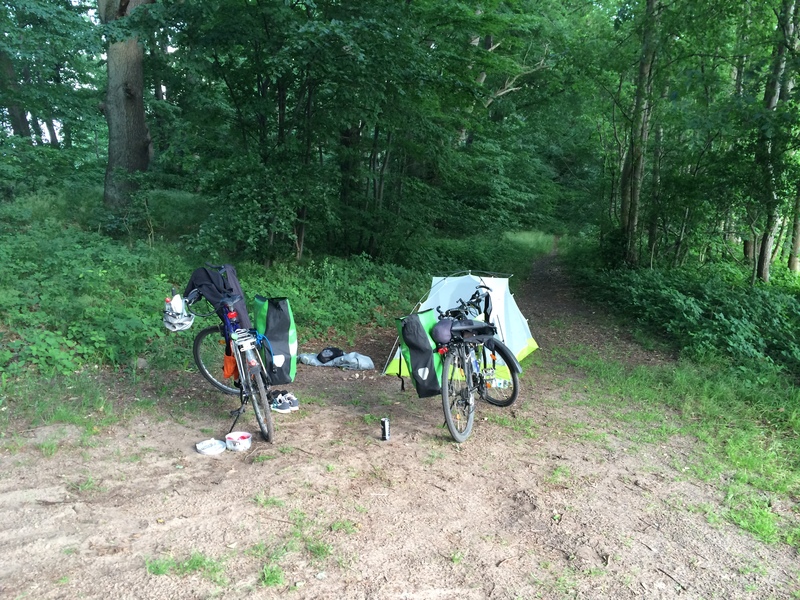 After that we sprinted 30km back to the train station. In total we drove about 170km. I took the bus back to Hamburg that very night and went to work on Monday again. Awesome weekend, we will definitely do this again. Thanks for the idea, Alastair.